The not-to-be missed spectacle in Alleppey is the Nehru Trophy Boat Race which began in 1952 on the occasion of the visit of India's first Prime Minister, Jawaharlal Nehru to Alappuzha. 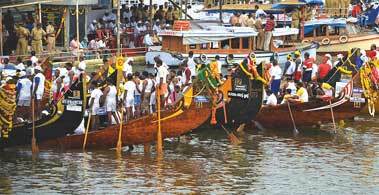 It is now a major event held on the second saturday of August every year and features the gigantic snake-boats of Kerala, the Chundans-once the battleships of the Malayalee King of Yore. 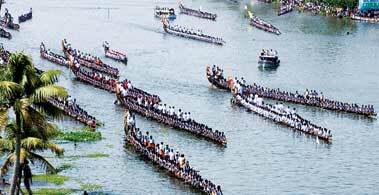 Today the Boat Race has grown into Alappuzha's single most important tourist event with boats being sponsored by different villages. Competition is severe as the boats with over 100 rowers in each, race to finish to the accompaniment of rousing music. The story of these battling boats goes back 400 years in history when the rajas of the erstwhile principalities of Chempakasseri (Ambalappuzha), Kayamkulam ,Thekkumkoor (Changanacherry) and Vadakkumkoor (Kottayam) in the old Travancore area, which were part of the present Alappuzha district and Kottayam district, frequently crossed swords on the backwaters of Kuttanad. The Chempakasserry troops suffered heavy casualties at the hands of the superior navy their rivals commanded. It soon dawned on the Chempakasserry Raja that the real defect was with his war boats, which were sluggish and cumbersome. He called all the boat architects in the land to his court and told them of his desire to have better and faster boats for the troops. After days of hard labor, a man who was reputed to be the best boat architect in Chempakasserry, Koduppunna Venkitanarayanan Asari, came up with a specimen which satisfied the raja’s requirements. It had speed, manoeuverability and capacity to carry 100 able-bodied warriors on board and its eel-like construction was most ideal for launching an ambush since it could be easily kept concealed behind the overhanging bushes on the river banks. The Asari was generously rewarded and in the subsequent battles, the Chempakasseri Raja emerged victorious. The story goes on to tell how the defeated Kayamkulam Raja sent a spy to Chempakasserri to learn the secret of the new war boat. The spy, a handsome youth, succeeded in seducing Asari’s daughter. The girl’s mother was overjoyed by the prospect of getting him as her daughter’s bridegroom and persuaded her husband to teach him the construction of the boat. Needless to say, the deceitful youth disappeared the moment he thought that he had learnt the secret. Asari was imprisoned by Chempakasserri Raja for treason. But he was released and showered with many honors when the snake boats built by the Kayamkulam Raja proved to be no match for the war boats of Chempakasserry in the next battle. The subtleties of the snake boat’s design are hard to pickup and even today it requires years of apprenticeship under a master boat architect before one could independently undertake the construction of this ancient boat. When a village decides to have a new snake boat, a committee is formed to raise the Rs.6 lakhs it requires now to build the boat. 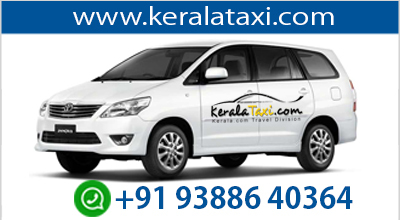 The boat architect is summoned and the search for the “anjili” tree of the required size often takes the villagers to the high ranges of Kerala. As the snake boat takes shape out of the huge trunk, the ‘asari’ relies mainly on his instinctive estimates. Of late, the boat builders’ prime concern is to make the snake boat as long as possible so as to seat more and more rowers for speed. The Nedumbhagom snake boat recently entered the Guinness Book of Records as the longest rowing boat in the world. 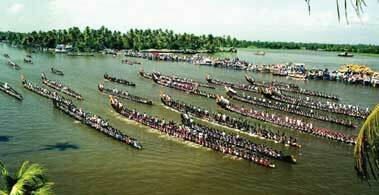 But its 135 feet length has since been overtaken by Vellankulangara snake boat, which is 140 feet long.